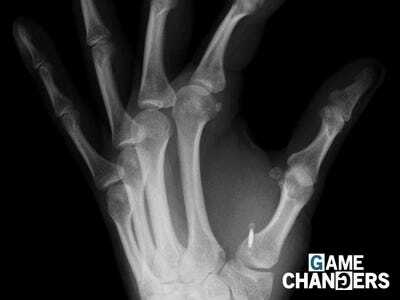 Some 3,000 Swedish people have inserted a microchip into their bodies to make their daily lives easier. People with the implants can, for instance, wave their hand near a machine to unlock their office or gym, rather than taking out a key card. So-called “biohacking” is on the rise as more people depend on wearable technology and interconnected devices. Thousands of Swedish people are having microchips implanted into their bodies so that they no don’t need to carry key cards, IDs, and even train tickets. Some 3,000 people in Sweden have inserted a single microchip – which is as tiny as a grain of rice – under their skin over the past three years, Agence France-Presse reported. The technology was first used in the country in 2015. The implants have already helped replace the need for a host of daily necessities. 28-year-old Ulrika Celsing’s microchip, which is in her hand, has replaced her gym card and office key card. When she enters her workplace, she simply waves her hand near a small box and types in a code before the doors open, AFP said. There is no technological reason the chips couldn’t also be used to buy things just like a contactless credit card, but nobody appears to have started testing that yet. The procedure is similar to that of a piercing, and involves a syringe injecting the chip into the person’s hand. Celsing, who obtained her injection at a work event, told AFP she only felt a slight sting. However, the chip implants could cause infections or reactions in the body’s immune system, Ben Libberton, a microbiologist at MAX IV Laboratory in southern Sweden, told AFP. Biohacking – the modification of bodies with technology – is on the rise as more and more people start using tech wearables such as Apple Watches and Fitits. About four years ago, Swedish biohacking group Bionyfiken started organising “implant parties” – where groups of people insert chips into their hands en masse – in countries including the US, UK, France, Germany, and Mexico. Some 50 employees at Wisconsin vending machine company Three Square Market voluntarily agreed to insert microchips into their hands, which they could then use to buy snacks, log in to computers, or use the photocopier. The country’s 10 million-strong population are generally more willing to share personal details, which are already recorded by the country’s social security system and readily available. According to AFP, people can find each others’ salaries by simply calling public tax authorities. Many of them also don’t believe the microchip technology is advanced enough to be hacked. Libberton, the microbiologist, also said the data collected and shared by implants are too limited for users to fear hacking or surveillance. “We are updating our bodies with technology on a large scale already with wearables. But all of the wearables we wear today will be implantable in five to 10 years. Mark GassonAn X-ray of a hand with a microchip between the person’s thumb and index finger.